Seeking a unique hands-on experience with design and construction, Iowa State University fourth-year architecture students Tyler Wurr of Manning and Joey Bahnsen of Des Moines replaced their spring option studio with an independent study of nomadic architecture. 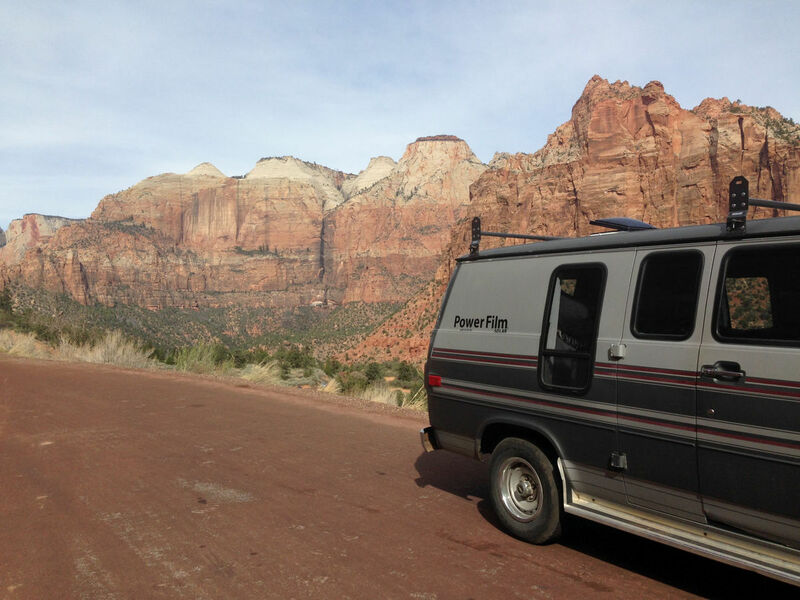 Advised by Assistant Professor Shelby Doyle, the Daniel J. Huberty Faculty Fellow in Architecture, the duo outfitted a 1989 Chevy G20 van to serve as their home on the road during a 10-day spring break field trip out West. Their “adVANture” is chronicled in an Iowa State Daily story and on their website: https://nomadicarchitects.wordpress.com.